Here Is My Psychic Crystal Ball Tutorial. The pop culture image of a woman in vaguely Gypsy attire gazing into a crystal ball is at least a couple of centuries old. Her sinister look hints at what she is about to reveal is a secret that will change the life of her client for ever (and for the worse). It is a literary as well as cinematic cliché, used and reused to the point of becoming a joke. But is it all just a silly show? The art of gaining mystical insight through gazing onto a reflective surface has been around for literally millennia. Be it a flame, a pond, a water basin, a so-called black mirror (basically a piece of glass painted black), or a crystal sphere - it has all served the mystic and the seer well in taking a peek behind the veil. Given the assumption that you are interested in giving it a go yourself, this psychic crystal ball tutorial provides the basics that you need to know. Cleanse and consecrate it as you see fit and it's ready for gazing. Some methods are: To leave your crystal out in the moonlight for the night. Take your ball to the ocean and submerge for a period of time, say 20 mins to an hour or two. Pack your crystal in sea salt at home, leave overnight. Just hold the orb in both hands while in meditation and visualize white light filling and cleansing the ball. Do anything that feels right to you in cleansing and consecrating your crystal ball. There is no set way. It is more about the positive energy you feel when using it. In order to avoid all intrusions and distractions, a calm and quiet time of day (or night) will prove a good choice and give you an opportunity to fully devote yourself to practicing your craft. Close the curtains and have only a dim light illuminating your surroundings, thus avoiding reflections in the crystal. A black or a dark purple cloth can serve to hold the sphere and, again, cause minimal visual distraction. The trick to scrying (or crystal gazing) is to relax into a state of psychic resonance, make your mind as clear from unwanted thoughts and sensations as possible, and have it serve as a receptor to any messages that you may be able to receive. For scrying you will need to concentrate but don't allow yourself to tense up. Remain calm and relaxed, keep your focus but also keep an open mind. In the beginning, don't exert yourself too much and keep the sessions short (five minutes at first, and never go beyond half an hour). Imagine a small cloud-like vision appearing in the center of the orb, almost emanating a pale blue light. Focus on it and allow your subconscious to bring forth images from a higher source. Note that, along with visual stimuli, other feelings of claircognizance might arise so be sure to pay attention and keep your senses alert. Don't forget to use a psychic journal and write down any images, sounds or sensations that should appear when following this crystal ball tutorial. Just like any other discipline, scientific or spiritual, the more you do, the better you become at it. Take your time, be persistent, and results will come.  Are You Curious To Know What A Psychic Sees In A Crystal Ball? 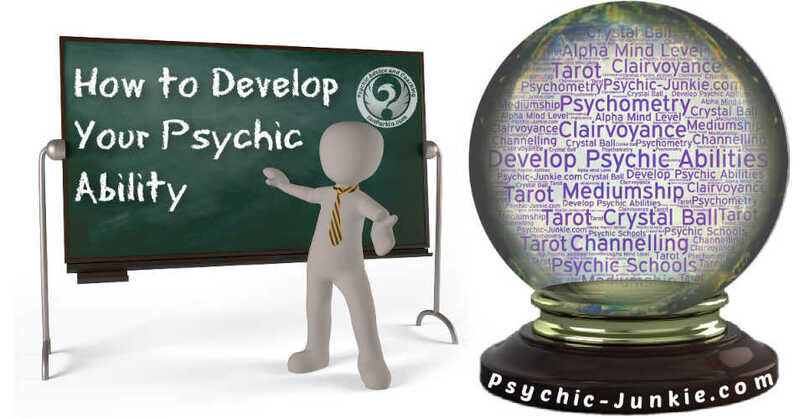 Learn To Develop Psychic Abilities Today. 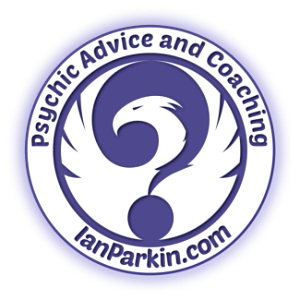 Ian Parkin is the owner and principal psychic of this Website. 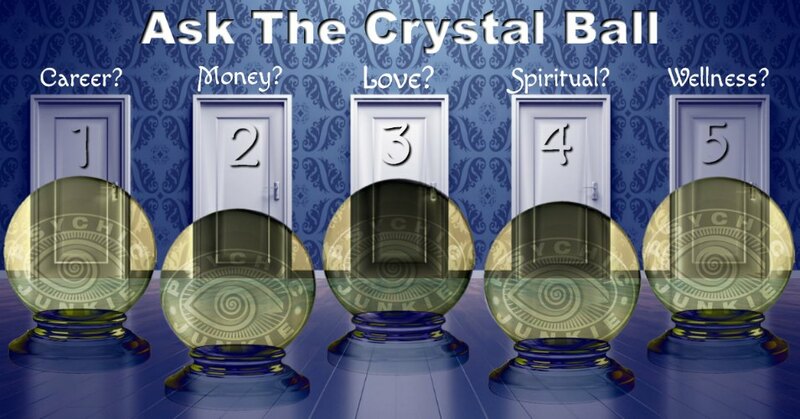 Are you a candidate for crystal ball readings by email? Scarcity of free time? - Shy? - Prefer writing to talking? - Hearing impaired? - Brain Fog? Convenient?  To learn about my email psychic readings process where you can decide what level of interaction you would like - Click Here Now .